Some people might be surprised to learn quite a few older adults have set some impressive world records, proving age isn’t as limiting as it’s thought to be. The Toronto, ON, elder care experts at Home Care Assistance discuss the accomplishments of 5 incredible seniors who have set records and made it into the Guinness book. In his late 90s, Hidekichi Miyazaki began training for amateur track and field events as a way to pass time and stay in shape. By the time he turned 100, he set a new world record while competing in the Kyoto Masters Athletic Autumn Competition. He became the oldest competitive sprinter in the world after running the 100-meter dash in just 42.22 seconds. On her 100th birthday, Doris Long decided she wanted to experience life to the fullest by setting an abseiling record. Much like rappelling, abseiling is a strenuous task that requires strength in the arms, legs, and back. She broke this record in 2013 when she decided to abseil down a 300-foot tower as a birthday present to herself. Though completing a single marathon is an astonishing feat for many people, Larry Macon decided to take this challenge one step further. In 2013, at age 69, he broke the world record for most marathons run in a single year by a male competitor. By the end of the season, he had completed 239 regulated and recognized marathons. Even more astonishing is the fact he did not start training for his first marathon until 1996 when he picked up running as a hobby. 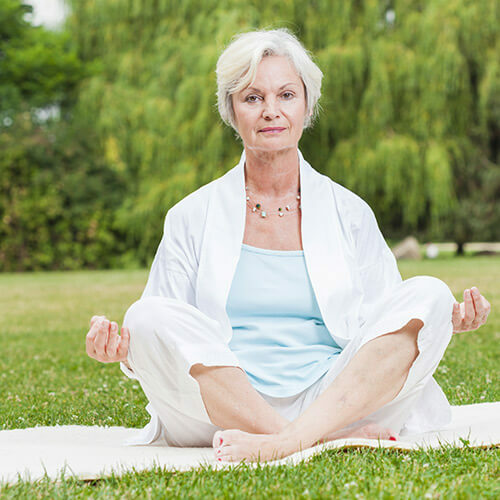 Yoga has been a popular practice for thousands of years, but seniors who are close to becoming centenarians are generally not the people who teach it. At the age of 93, Tao Porchon-Lynch became the oldest recognized yoga instructor in the world after teaching a televised class in New York. Now 98, she continues to travel throughout the world teaching popular yoga classes and giving lectures on how to remain young at heart. This 97-year-old man is proof that hobbies can keep a person young. Neal recently set the record for the oldest licensed pilot in the world. In addition to maintaining excellent hand-eye coordination, he must also remain mentally sharp to pilot his personal plane throughout Canada and the United States. To accomplish great things, seniors need to maintain optimal health. At Home Care Assistance, we offer a program called the Balanced Care Method (BCM), which encourages seniors to eat well, exercise regularly, and focus on a variety of other lifestyle factors that can increase their life expectancy. In addition to BCM, we also offer Parkinson’s, stroke, and dementia care Toronto, ON, seniors can count on. For more information on our elder care services, please call a qualified Care Manager at (416) 488-8777 today.